Meetings are held every 3rd Tuesday of the month and RSVP’s are requested by the 2nd Tuesday of each month. Monthly meetings will include HCCW’s business meeting, a featured speaker, and a beef lunch at the venue. There are no meetings in November, December, July and August. Contact us on-line, Go to Arrowhead Bank in Fredericksburg or track down a HCCW member to purchase tickets! The Women’s Ranch Seminar will be June 6, 2019. 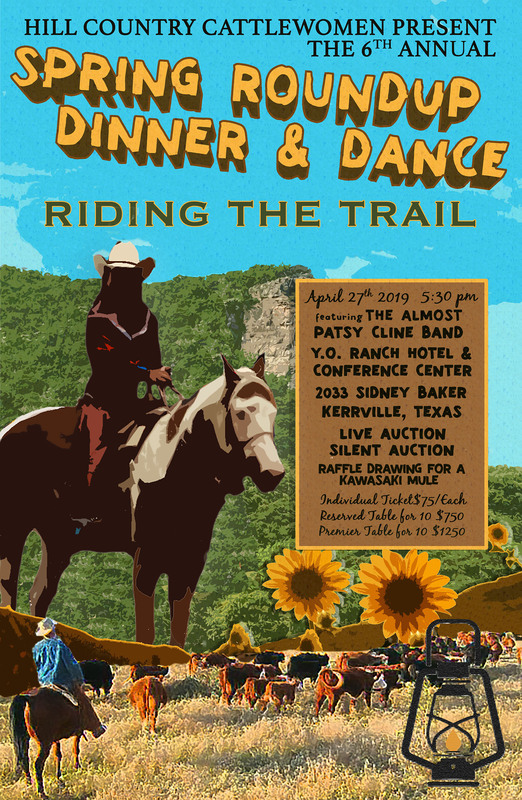 Spring Round-Up April 27, 2019 YO Hotel & Convention Center, Kerrville, TX RSVP NOW! Dinner, dance, silent and live auctions, raffle, and fun! Wear your western best and join the fun to support scholarships and beef education. Ag Days - Llano April 29, 2019 Llano RSVP NOW! Come teach 4th graders the importance of eating Beef! Ag Days - Kerr County May 15, 2019 RSVP NOW! Ag Days - Gillespie County May 16, 2019 Gillespie County Fair Grounds RSVP NOW! Monthly Meeting May 21, 2019 Sandstone Street B&B, Standstone Street, Llano RSVP NOW! Monthly Meeting June 18, 2019 RSVP NOW! Monthly Meeting September 17, 2019 RSVP NOW! Monthly Meeting October 15, 2019 Kerrville RSVP NOW! contact us if you would like to help or donate to the Hill Country CattleWomen. It was a great event this last spring. And we're planning on a great event in 2019. Please contact a local CattleWoman for tickets. Sponsor only. No tickets. Will be recognized in social media and at event. 10 tickets at a reserved table. 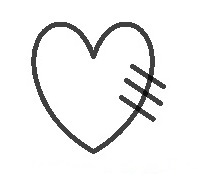 Will be recognized at event. 10 tickets at a premium reserved table and special recognition in social media and at event. An additional 3% credit card charge will apply. Please say thank you to the 2018 Spring Round Up Sponsors and Cattle Barons! We thank each of them very much for supporting our organization and the agricultural industry in the Texas Hill Country!